Australians have always had a nomadic streak and continue to travel in great numbers. They travel far and wide both domestically and internationally. Whether you are in Byron Bay or the streets of Paris you will always come across Australians holidaying. This is why travel items continue to be a very popular option for marketers. They are popular because they know they will find customers how are more then happy to accept them and are likely to use them in their daily lives. One of the most popular promotional travel products is the luggage strap. Branded luggage straps have long been sort after by marketers as they give a good return on investment. They are inexpensive and have a great branding area. They are also durable which is an important prerequisite for any promotional product. Each and every item was designed to complement one another but most importantly to be a practical item for the recipient to have on their travels. Surface to say the campaign was very successful and the client was more then impressed. 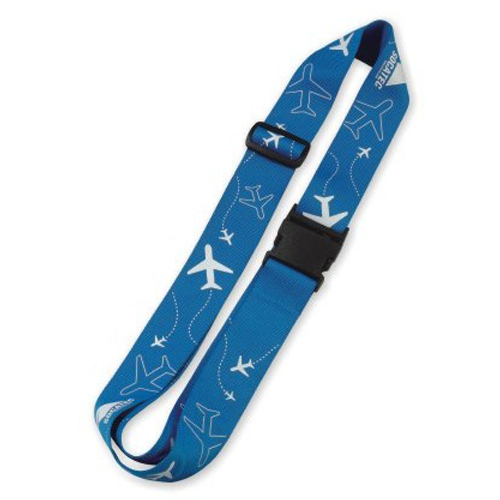 EzyLanyards has a large range of both luggage straps and other ID accessories.